in Holyrood, Edmonton Announcing a price drop on 9112 79 Street NW, a 1126.99 sqft , 2 bath , 3 bdrm bungalow. Now FOR SALE CAD388,500 . • 1151 sqft , 2 bath , 1 half bath , 4 bdrm 1 1/2 story – FOR SALE CAD389,900 . Updated and move in ready Character home in the highly desirable neighbourhood of North Glenora. Enter into the core of Edmonton — well sought after neighbourhoods with great schools and a short downtown commute. This 3+1 bedroom home features a Living/Dining room on the main floor, an eat in kitchen, Full freshly tiled bathroom, a Large Flex room (Den) that could be used as a family room, formal dining room, office or easily converted into another bedroom. All have brand new flooring, fresh paint & baseboard. The upstairs has two more bedrooms (one without a closet) and a FULL SECOND BATHROOM. The basement is fully finished and has a fourth bedroom, 2 pc bathroom and a large family room/rumpus room. The large lot is 49’x135′ with oodles of space between you and your neighbours. The large double garage will facilitate parking 2 vehicles inside and lots of room for tools. The back of the house also has a covered deck and there is a super convenient front drive parking spot. Check it out today! • 946 sqft , 2 bath , 2 bdrm single story – FOR SALE CAD214,900 . HONEY! STOP THE CAR! This is the unit you’ve been waiting for! 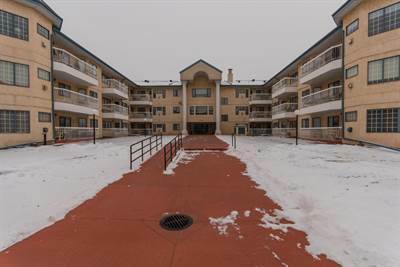 2 bedrooms, 2 bathrooms, in suite laundry, in-floor heat, private balcony, large kitchen, fireplace, underground parkade all for a great price! The Californian is a terrific, well run, clean adult (18+) building located close to all amenities… shopping, transit, hospital, and great restaurants! 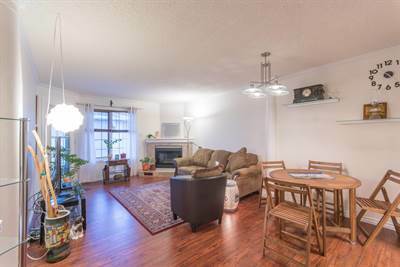 You’ll love how quiet this TOP FLOOR unit is! The unit is slated for all new windows to improve the already pleasant view from the unit. The underground parking stall is conveniently close to the elevator and the building has terrific visitor parking. Check it out today! • 978 sqft , 2 bath , 2 bdrm apartment – FOR SALE CAD219,900 . 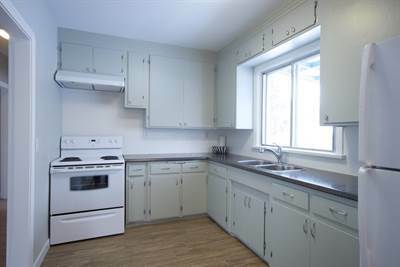 • 1126.99 sqft , 2 bath , 3 bdrm bungalow – FOR SALE CAD398,500 . 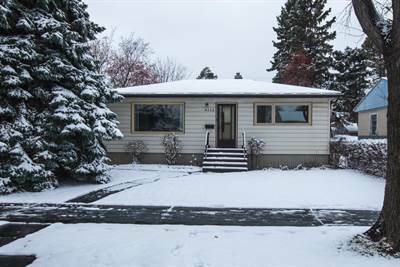 This bright bungalow is in a terrific location in highly desirable Holyrood. It is situated within walking distance from all levels of school, bus service is just steps away and better yet, this home is located within walking distance of the upcoming Holyrood LRT station. The home has recently been updated with fresh paint, refinished hardwood flooring, vinyl plank in the basement and more. The large bright basement windows are being replaced with quality vinyl windows. You will appreciate the large back entry way/mudroom/porch which has GREAT storage and laundry. You could easily utilize this has shared laundry if you wanted to suite the basement, but the basement does have the original laundry hook ups as well. The lot is 50×120 for future consideration. This home is a GREAT investment!